“Merchantability” is one of those legal terms-of-art that defies precise definition. Courts ruling on implied warranty of merchantability claims generally frame the question as whether the product was “reasonably fit for its intended purpose.” But what any given jury will find to be “reasonable” is anyone’s guess. So better for the defendant that the case never get to the jury. I think Chrysler might agree. A Minnesota appeals court recently affirmed the summary dismissal of a breach of implied warranty of merchantability claim brought against Chrysler. It found the plaintiff’s evidence insufficient to require the trial court to submit the claim to a jury. The plaintiff showed that she purchased a 2009 Dodge Journey in May, 2009, and had its front brake pads and rotors replaced 13 months later at 30,700 miles. Plaintiff paid for the repair. 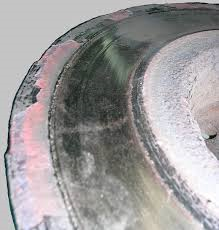 In 2010, Chrysler learned that front brake pad lining life on the 2009 Journey was not meeting customer expectations. So in a June 1, 2011, letter, it extended limited warranty coverage for brakes pads and rotors from 12 months/12,000 miles to 36 months/36,000 miles. At plaintiff’s request, Chrysler reimbursed her for the June, 2010, brake repair. But it refused to reimburse her for undocumented brake repairs at 50,000 miles and 80,000 miles. Plaintiff filed her claim against Chrysler armed with an opinion from a mechanic that the Journey’s front brake pads and rotors were undersized given vehicle weight and would continue to need to be replaced at premature intervals. The defect [the plaintiff] alleges is distinguishable from those that courts have found to support implied warranty claims. As the district court emphasized, [plaintiff] drove the car for nearly 31,000 miles over the course of more than a year before the alleged defect first manifested itself. Thus, this case is distinguishable from … cases in which the defects, although arguably minor, manifested themselves early in ownership. Moreover, the defect did not cause a catastrophic event like … transmission failure…. Instead, the defect causes symptoms—shaking in the steering wheel, a “droning” sound, and heat in the front braking area—that have prompted [plaintiff] to get her brakes repaired. Accordingly, we conclude that the district court did not err by dismissing [plaintiff’s] implied warranty claim. Unfortunately, the court decided not to formally “publish” its decision. This means that courts in future cases cannot cite to or rely on it. But it does itself rely on published decisions and its reasoning can and should be echoed by defendants in implied warranty cases.